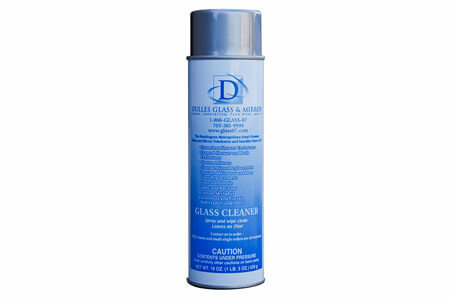 Sure to become a favorite at home and in the office, Dulles Glass and Mirror's multi-purpose glass cleaner will give your windows and hard surfaces that beautifully clean shine! Cleans and polishes glass, windows, mirrors, windshields; chrome, bathroom fixtures, tile, marble, and more. Just spray and wipe clean for a streak-free finish! Clean away dirt, dust, grease, fingerprints, and grime. Leaves no film behind. Spread the word, no more streaks!